You will be able to register for all of your favorite Reunion events online. If you would prefer a paper registration form, please email reunion@cedarcrest.edu or call 1-888-902-3327. 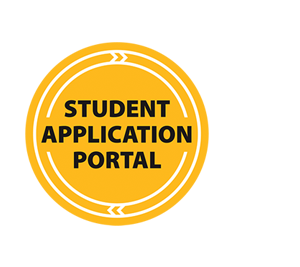 Check back on March 1, 2019 for the registration link and visit this site regularly for a weekly update of your classmates who are also attending. Do you want to hear more about Reunion and what’s happening on campus? Be sure to update your contact information here and provide us with your email address to stay up-to-date on the latest Reunion and campus news. Are you planning to stay in the area for Reunion Weekend? Click here to view a list of hotels with a Cedar Crest College room block. Many hotels are also offering space for alumnae to gather when they aren’t on campus. Do you want to support Cedar Crest and get a discount on Reunion registration? Alumnae Association members for the 2018/2019 fiscal year (July 1, 2018 – June 30, 2019) and life members receive a 10% discount on their reunion registration. Renew your membership here before registering to receive your promo code for your online registration discount. Life and current members will receive their promo code with their March 1 registration email. Did you know you can help your class win a prize at Reunion? Each year we presented awards to the classes with the most Reunion attendees and the most donors. You can help your class win a prize by attending Reunion and making your Reunion gift before May 18, 2019 at 9:00 a.m. All gifts made between July 1, 2018 and Reunion Weekend 2019 will count toward your class giving total. Click here to make your gift now. We can’t wait to see you May 17-19!